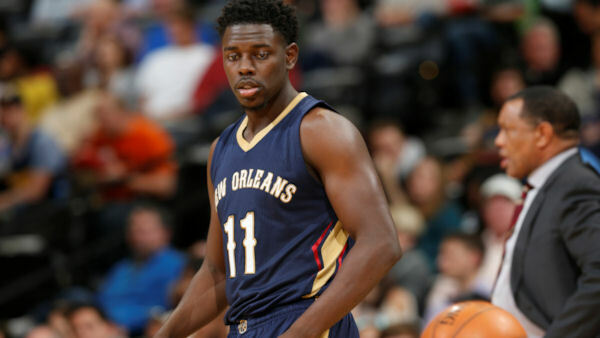 NEW ORLEANS -- The New Orleans Pelicans say guard Jrue Holiday will be taking indefinite leave to care for his wife, former U.S. women's national soccer team member Lauren Holiday, who is pregnant and needs brain surgery. "We are all praying for a healthy delivery of their first child and a successful surgery for Lauren," Pelicans general manager Dell Demps said in a prepared statement provided Sunday by the club. "Furthermore, we ask everyone to respect the Holiday's privacy at this time." 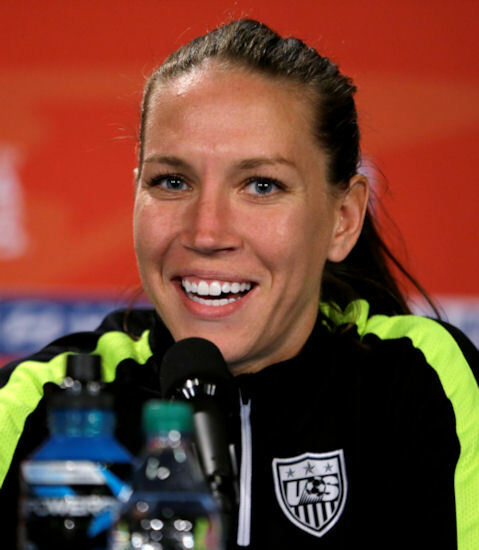 Lauren Holiday is a former UCLA soccer player who went on to win two Olympic gold medals in 2008 and 2012, and a FIFA women's World Cup title in 2015, with the U.S. women's soccer team. She met Jrue at UCLA, where he played basketball. Jrue Holiday has been with New Orleans the past three seasons, but has spent most of that stint injured. He expects to return this season in full health and the Pelicans see him as a core player along with All-Star forward Anthony Davis. "The most important thing for Jrue to do right now is be with his wife and family," Pelicans coach Alvin Gentry said in a statement. "Every one of our coaches and players understands what Lauren and Jrue are going through, and they know we're behind them one hundred percent. We'll continue to do everything we can to support them and help them get through these hard times." In an interview with the Times-Picayune/NOLA.com, which first reported Lauren Holiday's condition and Jrue Holiday's plan to take leave, Jrue Holiday said Lauren was diagnosed with an operable tumor on the right side of her brain. Their baby is due in mid-October, and in the interest of the health of both mother and baby, Lauren's brain surgery will take place about six weeks after delivery, Jrue Holiday said. For the time being, the couple plan to reside Raleigh-Durham, North Carolina, near the Duke University medical specialists who'll handle Lauren Holiday's surgery. After Lauren's operation, Jrue will be a primary caretaker for both his wife and newborn. The Pelicans said they plan to send a trainer to North Carolina to help Jrue maintain his fitness and basketball skills during his absence. "We encourage Jrue to take as much time as he needs to be with his wife and family before returning to the Pelicans," Demps said, adding that the top priority of team owners Tom and Gayle Benson "is the health and wellness of the people in the organization." "We understand that Jrue will miss some games, and his teammates are prepared to step up in his absence," Demps said. "We will welcome Jrue back with open arms when he is ready to return to the team." Last season, Holiday played in 65 games, averaging 16.8 points, six assists, three rebounds and 1.4 steals in 28.2 minutes per game. For about the first half of last season, Holiday played under minute restrictions as he came back from a stress fracture in his lower right leg that sidelined him for the better part of the previous two seasons. His replacements to start the upcoming season could include Tim Frazier, who filled at the end of last season after Holiday was sidelined by fracture of his orbital eye wall. New Orleans also acquired former New York Kicks point guard Langston Galloway this offseason. Pelicans combo guard Tyreke Evans also has played point guard in stints throughout his career, but the timeline on his comeback from knee surgery remains unclear.